Danmar Industries has been in business for over 40 years. 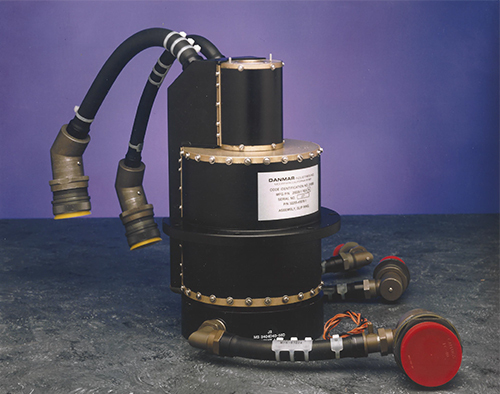 In more than 4 decades of producing electrical, electro-mechanical and electronic components and assemblies, Danmar Industries has designed and manufactured Slip Ring Assemblies for the US Navy, Air Force, Army and many other defense contractors throughout the US. In addition to manufacturing Slip Ring assemblies Danmar Industries also manufactures Cable Assemblies and Electrical Brush Block Assemblies. Danmar Industries prides itself on quality work as well as 100% customer satisfaction. Danmar Industries, a small minority owned company works very closely with the customer in designing Slip Ring Assemblies. All Slip Ring Assemblies are custom and are made to order, design and production are done in house. Danmar Industries is ISO9001:2008 certified and ITAR Certified guaranteeing that we are held to the utmost quality standards governed by ISO. Individual components and sub-assemblies consisting of silver rings, phenolic insulators and spacers, beryllium copper leaves, silver graphite contacts, phenolic brush blocks, and lead wires are assembled to produce the fabricated unit. Silver rings with lead wires over a shaft are inserted into a transfer or compression mold. The plastic material thermosetting or epoxy type in injected into the mold. The plastic material usually conforms to MIL-1-14 standard. The molded unit is then machined to the proper size and finish.